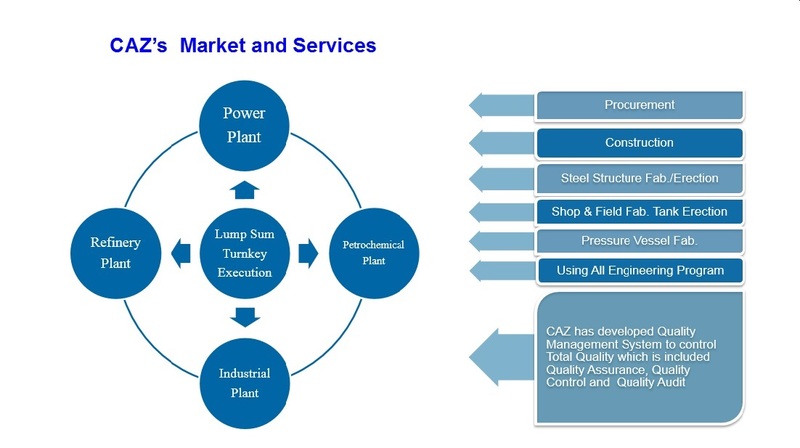 CAZ’s unique Construction(Construction & Procurement & Shop Fabrication) system was created to provide clients with the best possible service in all phases of project planning, feasibility studies, procurement, construction management, shop fabrication, commissioning, operation and maintenance. 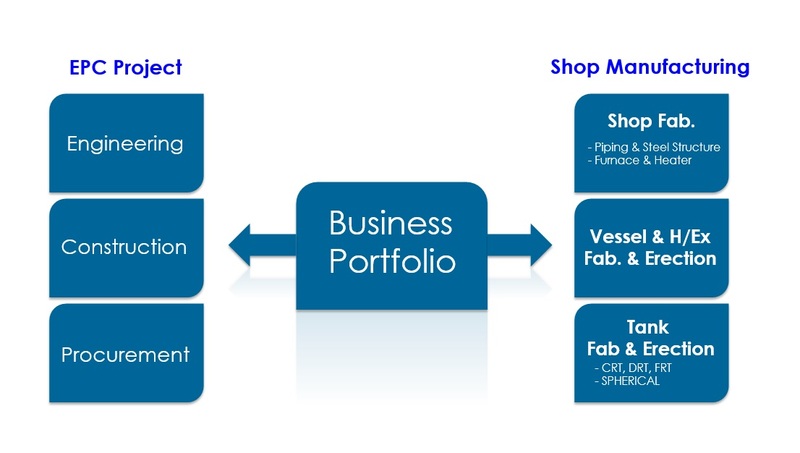 Our company provides clients with flexibility in project organization and custom-tailors services to the requirement of each individual project. 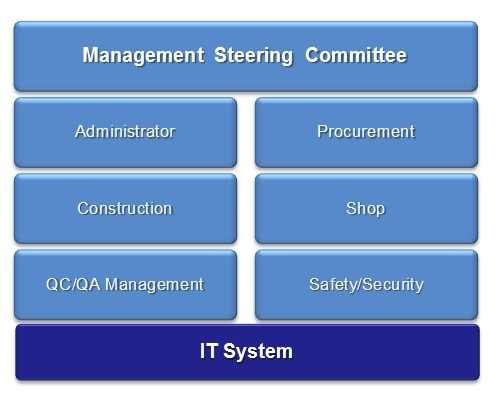 The most efficient organization is designed and mobilized with a team of qualified experts for each task and discipline. All key staffs possesses specialized knowledge and expertise and has been specially trained to understand clients’ needs and to communicate with clients effectively to achieve the best possible results.